Newly retired, Dr. Paul Bastedo says he will deeply miss his patients. Paul Bastedo has faced tragedy and triumph all in the same day. He has saved lives and experienced the sorrow when a family has to say goodbye to a loved one. 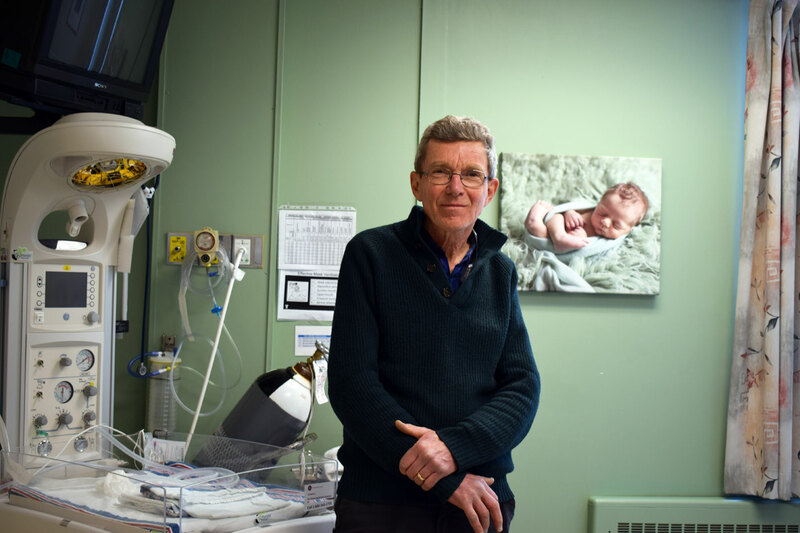 He’s brought life into the world, and he’s also been a shoulder to cry on when a mother delivers a stillborn baby. He’s cured, mended, repaired and helped rejuvenate. That’s the thing about being a doctor. There’s never a dull moment at the office. Paul has just recently entered a new chapter in his life and it’s one he’s already thoroughly enjoying. 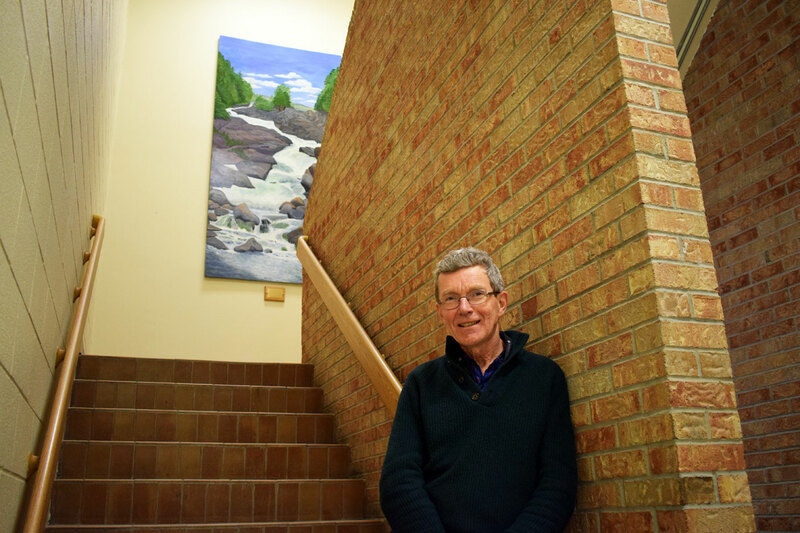 After four-plus decades as a family doctor, Paul has officially hung up his coat. The rewards of the job have been far sweeter than Paul ever could have imagined. It has brought him the utmost joy, filled him with contentment and satisfied him on a soul level. He was lucky enough to do what he loves in a small town like Huntsville. I was an eight-year-old boy when I came to camp in Algonquin Park. That’s why I sent my letter off to Huntsville. It suited me in terms of my lifestyle; being outdoors and camping. That’s what I still enjoy doing after all these years. And now I’ll have more time to do those things I love. His job as a family doctor required Paul to do a lot of different things. He assisted in surgeries in the Operating Room, worked in the Emergency Department and looked after patients at Hospice Huntsville. He was also responsible for seeing his patients who lived in long-term care homes. Paul Bastedo has just said goodbye to more than 40 years as a family doctor. It has been a long and satisfying career and one of the greatest perks of the job was delivering healthy babies. That was the ultimate experience, he says. That desire and passion to want to help people could have very well been an inherited gift. After all, Paul’s father was a doctor and even now the memories are vivid. He remembers his dad getting up in the wee hours of the morning to assist with the delivery of a child. Apparently that early exposure and influence was all that was needed to inspire Paul to want to become a doctor. And that began his career at Huntsville Hospital. Paul reflects on the relationships that he’s made along the way. When he chose family over pediatrics, he didn’t know how much family medicine meant he would become apart of so many families. You laugh and cry with your patients, he says. Being the doctor of a small child who you helped bring into the world and then watching that child grow up and repeat the circle of life was one of the most rewarding aspects of the job. Babies were Paul’s thing. He loved assisting in the healthy delivery of a baby. And Paul speaks highly of the hospital staff. Not only are we blessed to have such an amazing team of dedicated specialists right here in our hometown (we’ve come a long way since the mid-70s!) but the hospital has grown to have an incredible team of nurses, too. Working in a small town gave Paul the opportunity to really get to know his patients. He spent many hours pacing the hallways and running up stairways at Huntsville Hospital. Being a doctor is no easy feat. Most people know there’s a lot of hard work that comes with the territory. Being on your feet for hours on end and dealing with the stress of ailments and injuries does not come without some exhaustion. But somehow, says Paul, you adapt. You learn to overcome the physical fatigue. The challenging and demanding times are helping families cope with a loved one who is dying. Paul has spent countless hours pacing the hospital’s hallways. 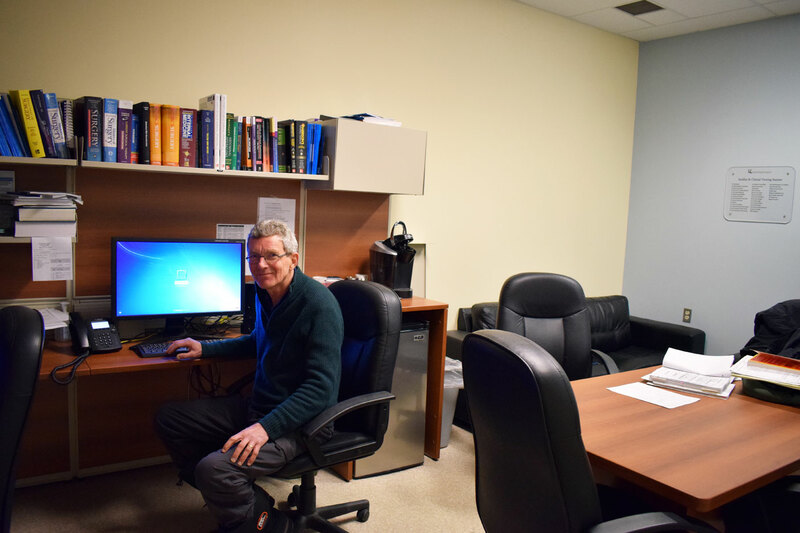 Paul often allowed medical students to come into his office to practice. He knows how important of a stepping stone that is. It gives them the experience to deal with real-life situations and Paul made it his mission to convince as many of those students as he could to get into family medicine. I would encourage these young medical students, if they have an inclination, to get into family medicine. It’s a gratifying field and it takes a lot of dedication. But the rewards are limitless. This is not cliché. Any doctor would say it’s a privilege to help people in the most intimate times of life. It’s a huge privilege, and I think that’s why it’s so wonderful. You need to give a lot but you get a lot back. 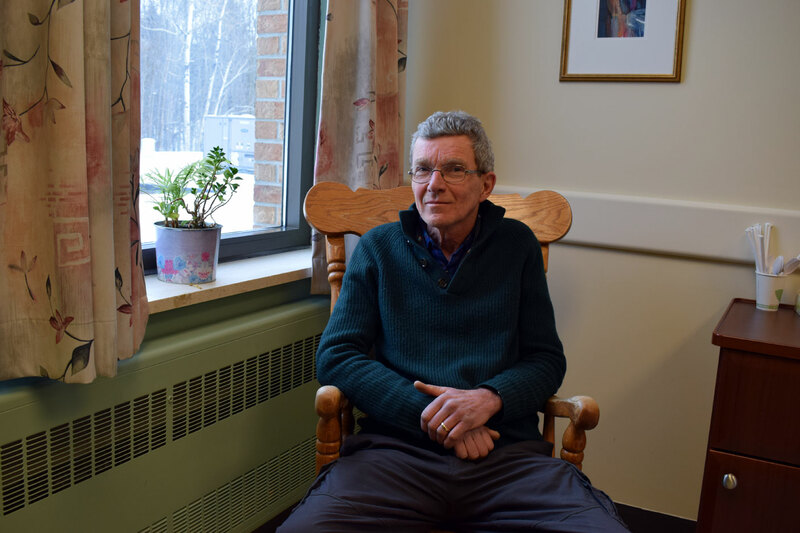 Although Paul’s still fresh into his retirement, he admits he is truly ready to disconnect from a long and rewarding career at Huntsville Hospital. He’s looking forward to doing more of what he loves; getting outside and camping, starting a book and actually finishing it (he’s read two since Christmas!) and making the most out of time spent with his wife and family. Paul spent a lot of time in this room at Huntsville District Memorial Hospital. He is not going to miss those early mornings spent on a computer. This man is sent from God. He helped me survive the many failures of pregnancies and bask in the joys of success too. He is a life changing man, without him I would not know the emotional power of motherhood nor my parents the enrichment of being grandparents that began 16 years ago. I wish you a long and happy retirement Paul. Dr. P. Bastedo has left big shoes to fill. The Fairvern residents and staff just love Dr Paul Bastedo and we will miss his compassionate care. All the best to you Dr. P. Bastedo, we wish you many wonderful retirement years canoeing and enjoying life. Dr. Bastedo, you truly are one of the good guys and will absolutely be missed. It really was a pleasure to work with you. Retirement is such a great next chapter and I know you’ll make the most of it. Enjoy all the adventures and let us know if they bring you to BC. You will be missed by many of us. you have been our family doctor for years you delivered me and all three of my girls that are now 21,16,14 take care and happy retirement. We will miss you Dr Bastedo. Dr. Bastedo is already missed incredibly at the hospital. Even when he wasn’t the doctor on call, if one of his patients was admitted to the ICU he would arrive long before dawn to check up on their progress. Recently one of his patients was brought to his office for a check up by the patient’s sister. During that visit he looked at the sister and asked her how she was feeling because he believed she didn’t look so well. He told her she should see her doctor and have some bloodwork drawn. When she responded that she didn’t have a doctor he said, “well you do now” and ordered the needed bloodwork. He saved her life that day because it turned out she had undiagnosed cancer that was quite advanced. She told me how grateful she was when I cared for her in the ICU. That’s the kind of doctor Paul Bastedo was…..compassionate and exemplary. He has made a difference in the lives of many. Thank you Dr. Paul Bastedo for your care over the years. May you be blessed in your retirement years, as you have given much, and helped to deliver many precious lives into the world. Dr. Bastedo has been my doctor since Dr. Ascah retired almost 45 years ago. I recently found out that Dr. B assisted at every surgery I ever had, with the possible exception of day surgeries as an out patient. Sorry to everyone who got their appointments shuffled! I have had more than a few life-threatening emergencies and always received the care I needed at our beloved Huntsville Hospital. Dr. B has delivered generations of our children and cared for us in many ways through our blessed lives. You will be missed Dr. B but your caring kindness as our doctor will be remembered. Welcome Dr. Brisson. A new Dr. B is in town! I am turning 60 so I doubt you’ll get me for the next 45 years, but hey, here’s hoping. Love you Dr. Bastedo. Wishing you all the health and happiness you have so richly earned. Thanks Doc, going to miss our little talks. You took care of me for 33 years and you always greeted me with a smile. All the best in all you do in this new exciting chapter. Dr.Bastedo was my doctor as well as my grandparents, my parents, my children’s, and my grandchildren’s doctor. He literally helped my whole family. He knew my family medical history first hand. He was there through happiness and sadness. Dr.Bastedo you will be greatly missed. Dr. Bastedo: Many thanks for your care and wisdom. At one point, I asked if you would be offended if I tried diet first, whereupon you said “No, not at all, we don’t know everything, but if it doesn’t work, feel free to come back”. What a kindness. – what wisdom and patience. Some doctors might say “Well, why did you come here, if you are not going to listen to me, don’t bother coming back”. I’ll be forever grateful for you and your care to my family over nearly 40 years. Thank you too for giving us Dr. Brisson. Happy retirement, you richly deserve it and many more happy years. What a great doctor you are. We are going to miss you! Happy Retirement, time to kick back and Enjoy! Dr. Bastedo has been my doctor for quite a while and I have to say he was always very approachable. He will be a hard act to follow. I look forward to seeing his book. He was the best doctor my late husbad and l ever had. Kind and compassionate. When we had to move to St. Catharines we knew he would be hard to replace and he was. One of the kindest people l ever knew. I hope he has a wonderful retirement. Wishing you happiness on a much deserved retirement !! !